Service in the military deserves a proper thank you, and the United States provides that gratitude in the form of benefits offered through the Department of Veterans Affairs (VA). From financial products that enable you to buy a home with no down payment, to career assistance and disability compensation, VA benefits meet a wide variety of needs if you currently serve, or have retired from service, in the U.S. military. VA benefits programs were designed with the unique needs of the military lifestyle in mind, and focus on providing support in three primary areas: career assistance, financial products, and health care. Understanding each benefit, as well as the eligibility and application processes involved in accessing them, helps you make an informed decision about how they can be used to your advantage. The GI bill offers a wide variety of programs to support career growth. The amount and type of benefits you’re able to receive depend on your length of service, whether you are active duty or retired, and what branch of the military you served in. The VA’s tuition assistance program is perhaps the best-known. The Post-9/11 GI Bill program pays for all tuition and fees if you are an in-state student at a public college. Private or foreign school tuition may be paid up to $23,671.94 per academic year. The VA website provides detailed information about education and training benefits, with online decision-making tools to help navigate which benefits are applicable to you. Take your time reviewing the options before deciding which to pursue. If you’re eligible for more than one type of education benefit, you’ll need to decide which programs to receive. In some cases, that decision cannot be changed. The VA offers an interactive tool to make it easier to learn what programs and benefits you have access to based on your military status, which benefit you want to use, and how much post-9/11 active duty service you have. About 200,000 service members make the transition from military service back to civilian living every year. The VA also offers education and career counseling for military personnel who are six months from being discharged, or veterans discharged within the last year. If you already know what program you want to apply for, you can apply online. Visit a VA regional office near you to apply in person. The registrar or financial aid office at the school you’ve chosen should have the proper application forms you’ll need. Call 1-888-GI BILL-1 (888-442-4551) and have the application mailed to you. The most significant financial benefits available for eligible current and retired service members are the VA home loan program and a wide variety of life insurance products. Both benefit programs have unique features to provide competitive mortgage financing and life insurance rates for the military lifestyle. The VA home loan program provides lending flexibility unlike any other mortgage loan program available. There is no down payment requirement, no monthly mortgage insurance payable regardless of down payment, and no minimum credit score requirement. VA home loan rates tend to be lower than conventional loan programs, and monthly payments are lower than other low down payment loan programs since they don’t require any monthly mortgage insurance. Mortgage insurance protects a lender in the case of a default, and is required on most loans if you make less than a 20% down payment. There are a number of VA loan types that allow veterans to buy, refinance or renovate a home. No monthly mortgage insurance is needed. The VA funding fee may be waived if you can prove you have a service-related disability. Instead of mortgage insurance, the VA charges a one-time funding fee based on the amount of down payment you make, your military status, and whether you’ve used your home loan benefit before. More than one primary residence may be purchased with zero down payment. VA borrowers may qualify with higher debt-to-income ratios than other loan programs because the program allows an approval based on a residual income analysis. 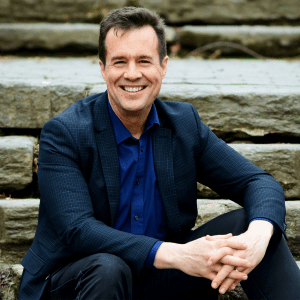 Rather than looking at your total debt divided by your pre-tax income, the residual income test looks at after-tax earnings, subtracts all of your debt, and if you meet the requirement, in most cases you’ll be approved with acceptable credit. Some closing costs are required to be paid by the seller. The VA allows borrowing up to 100% of the value of a current home. Cash-out refinances can be used to consolidate debt, do home fix-up projects, put money in the bank for a rainy day, or a combination of all of the above. There is no monthly mortgage insurance requirement even if you borrow the full 100%; however, the VA funding requirement will apply. In most cases, the only qualifying requirement is that your mortgage payments are made on time. and that there is a benefit to the refinance. The VA home loan process is not that much different than applying for any other home loan. You’ll need to document your income, and if you are making a down payment, or need to pay closing costs, you’ll need to provide some documentation of your assets. 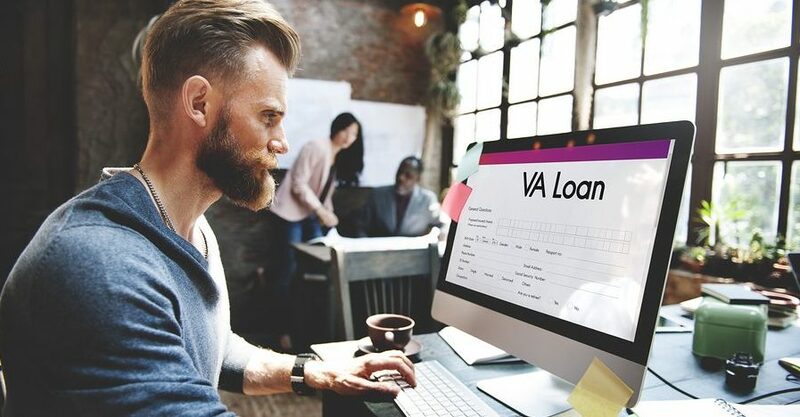 The lender will review all the components of your application — your income, assets and credit — and determine if you meet the basic qualifying guidelines for a VA loan. The final item needed to determine if you can get a VA loan, is to check your eligibility. Your eligibility for VA mortgage financing will depend primarily on three things: how long you have been or were in the military, what branch of the military you served in, and how you were discharged. For veterans, the form that will provide all of this information is the DD-214. The DD-214 is usually submitted through your lender to obtain a Certificate of Eligibility (COE). The COE verifies how much your loan benefits are, and if you are eligible for a funding fee waiver due to a service-related disability. You may also be able to access the COE yourself by applying for it online, or via mail to your regional VA processing center by completing the Form VA 26-1880. For active duty, National Guard, or the selected reserves, documentation and service requirements are different, so be sure to check the VA home loan eligibility requirements. There is one important thing to remember about VA loans: The VA doesn’t actually lend you the money. You’ll need to find a VA approved mortgage lender, and compare their interest rates and fees to make sure you’re getting the best deal. Military personnel often find that life insurance policies available to regular consumers have restrictions for events that are unique to military life. Warzone exclusions, for example, are common in standard life insurance policies, which means service members won’t be covered if something happens to them while in a combat zone. VA life insurance options are designed to provide coverage that meets the needs of military personnel without the limits imposed by most life insurance providers.The amount and eligibility coverage will depend on active duty or retirement status. Insurance is available for spouses and some programs offer automatic coverage for children. Servicemembers’ Group Life Insurance (SGLI): Most military service members are automatically enrolled in $400,000 worth of life insurance coverage upon enlistment. Coverage can be extended up to two years after separation from active duty if the veteran is totally disabled. Veterans’ Group Life Insurance (VGLI): Veterans can convert their SGLI policy to a civilian program that allows for lifetime renewable coverage after they are discharged from the military. Family Servicemembers’ Group Life Insurance (FSGLI): Part of the SGLI program, FSGLI insures a spouse and children. Dependent children are covered at no extra charge. Servicemembers’ Group Life Insurance Traumatic Injury Protection (TSGLI): Any service members who suffer traumatic injuries such as amputations, blindness or paraplegia have automatic coverage to provide payments for these losses.This is part of their coverage under the SGLI program. Service-disabled veterans may eligible for additional coverage based on their service-connected disability rating, and may even be eligible for Veterans’ Mortgage Life Insurance (VMLI) protection at no charge if they have been approved for a VA Specially Adapted Housing (SAH) grant. The VA’s life insurance benefits tool provides an overview of each type of coverage, and a basic outline of what is covered. Enlisted military personnel are automatically covered by SGLI. There is an online enrollment system to designate beneficiaries, or to change coverage preferences. For the other types of coverage, the VA website provides detailed information about the application process with the correct forms to fill out for each type of insurance. The VA provides health care benefits that cater to many different needs of the military after they have been separated from active duty. Disabled veterans are given extra attention to ensure their ongoing health needs are met. Most programs include coverage with special features that address health issues that veterans may face as they transition into civilian life. Veterans who enlisted after September 7, 1980, or who entered active duty after October 16, 1981, must have served at least 24 continuous months to be eligible for health insurance benefits. There are exceptions for veterans discharged due to hardship, or a disability connected to their active duty service. Apply online. The form is electronically submitted to the VA, and they can search your military service records within their database, and provide you with your eligibility information faster than other methods. Call 1-877-222-VETS (1-877-222-8387) Monday through Friday, 8:00 a.m. to 8:00 p.m. (ET) for help completion the application. The decisions usually come in less than one week. If you are a disabled veteran, you may also be waiting for the status of a disability claim. A disability rating will affect the type and cost of the healthcare coverage you are eligible for, so it’s best to have that information before you apply for health insurance benefits. You can check the status of a disability claim online. It may take some time and patience to get through the information available on the VA website, but it’s worth the extra effort. Disabled veterans are provided with many extra benefit options, and should take advantage of them — they can translate to thousands of dollars saved on mortgage loan costs, insurance premiums, and even generate income to help them cope with injuries sustained while serving their country.